Condition Fine. 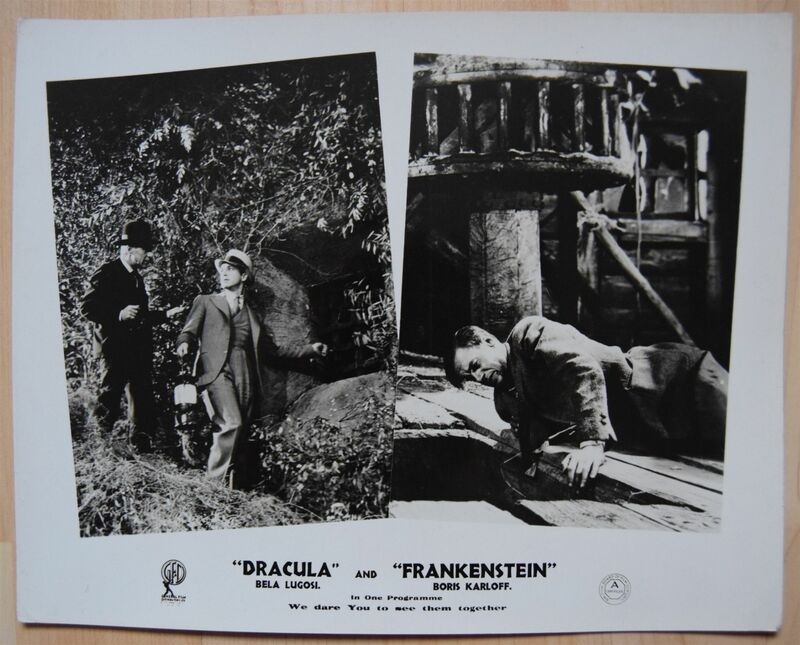 The still has one very light crease which is 1cm in the Frankenstein image on the left hand side. This and many other 1930's stills I will be selling came from a collection passed down to someone by his great grandfather, who worked for the company at Waldorf street, London in the 1930's. Incredibly, all these stills were to be thrown out and the gentleman managed to save them. The Dracula and Frankenstein double bill was released in America in 1938. General Film Distributors was created in 1935 by the British film distributor C. M. Woolf (1879–1942) after he had resigned from Gaumont British and closed his distribution company Woolf & Freedman Film Service.In 1936, J. Arthur Rank and the paper magnate Lord Portal, convinced him to make it a daughter company to their General Cinema Finance Corporation, which just had acquired the British distribution rights for all Universal Pictures titles (by buying a large chunk of Universal in the US). One year later it became the cornerstone in The Rank Organisation.